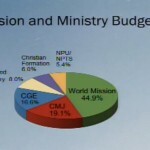 The presentation and adoption of the 2012 Mission & Ministry Budget took place at the 2011 Annual Meeting. 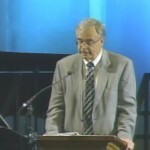 Dean Lundgren presents. 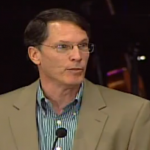 ECC president, Gary Walter, gives his annual report to the 126th Annual Meeting in Estes Park, Colorado. ECC vice president of finance, Dean Lundgren, gives a report at the 125th Covenant Annual Meeting summarizing the financial health and performance of ECC for the 2009 fiscal year.